I love the Myers-Briggs personality type indicator (MBTI). In fact, I have a written an entire book about MBTI and Greek mythology. So when I saw a link to a blog post about MBTI and sorting personalities into Harry Potter houses, I immediately clicked. And the results of my research are below. The premise of this blog post is that there are four houses in Hogwarts School (Griffindor, Slytherin, Ravenclaw, Hufflepuff) and sixteen basic MBTI personality types. So naturally, four personality types should go well with each of the houses. So far, so good. Although I would say that personality types of human beings are not so easily sorted into quarters, I'm willing to see what types the blog post picked out for each house. Griffindor: According to the blog post and the Harry Potter fan wiki, Griffindor values bravery, daring, nerve and chivalry. Now, I will tell you, who doesn't value this and want to be part of it? I, an INFP, would love to be part of Griffindor. I am not exactly that brave or daring, but I like being around people who are, and in fact if I were around such types, I think I could muster up more bravery or daring than I otherwise might. Unfortunately, INFPs are not allowed into Griffindor. That is the house for the ENFJ, ESFP, ESFJ, and INFJ. All these types are really my favorite people. And they tend to be quite brave and daring. I would love to be in this house. Slytherin: This house values ambition, cunning, leadership, and resourcefulness. All things to which I am allergic. And I am quite glad INFPs are not allowed into this house, either. Slytherin admits ENTJ, ENTP, ESTJ, and ESTP. All of whom mostly drive me crazy. This is a lovely place to warehouse all people who don't have a sensitive bone in their bodies. I say, Vive la Slytherine. Far away from me. Ravenclaw: I have never understood the existence of the other two houses in Harry Potter, since I see the first two as rivals and therefore all you really need for a good story, but nevertheless, they are here and they have values. Ravenclaw values intelligence, creativity, knowledge, and wit. Here is another bingo for me. I like all of these things. Sometimes Ravenclaw might get a bit nerdy for me, but the creativity would redeem that. Hey, allow an INFP into Ravenclaw? Nope, no chance. Only INTP, INTJ, ISTP, and ENFP get in. Humph. That would be a fun group to be in. With all the introverts geeking out by themselves, you'd have the ENFPs trying to get us out of our shells and having fun. Perhaps the ENFPs would be a bit exhausted doing that, but they'd have a good time with it. Hufflepuff: And now, the deal breaker. Finally we come to the blog post's preferred home for the INFP, the house that always struck me as needing to have a mascot that was a cloud or a bubble. Hufflepuff's values-- hard work, patience, justice, and loyalty-- are not nearly as inspiring to me as Griffindor's. I mean, I'm not against any of this, but every one of these values is learned for me rather than natural. And just look who I'm paired with: ISTJ, ISFJ, and ISFP. Pardon me, but... blah. Four sets of introverts all ignoring each other? No other intuitives besides the INFP with whom to have a deep conversation? A relentless insistence on the concrete world, service, doing the right thing just because? Well, the blog post says, INFPs are "very loyal and believe very strongly in justice. They fit very well into everything the Hufflepuff house stands for." No, child, no. INFPs are creative, deep thinkers, and idealists. We go crazy when we're with people who don't think mainly towards the big picture. We INFPs are not going to be sorted into a bin that doesn't suit us just because of symmetry. By the way, All tl;dr types must get off the train at this stop. If we are going to say that around 25 percent of Hogwarts students must go into each house, and that furthermore (for the sake of argument) Hogwarts students reflect the personality distribution of the general public (I don't agree with this, but still), then we must take into account the frequency of each personality type and group them so that around 25 percent go into each house AND the personality types are compatible with the house's values. At present, according to the blog post, Griffindor would have 24.8 percent of Hogwart's students, based on the MBTI Foundation website of frequency of personality types. Slytherin would have 18 percent, Ravenclaw 18.9 percent, and lo and behold, Hufflepuff would have the balance, a whopping 38.3 percent. So that's right out.We need to change things. For Griffindor, things work out nicely. We will put ENFJ (2.5 percent of the general population) and ESFP (8.4), both fearless types, with the ISFJ (13.8), who are very helpful, sensitive supports to those who need to do daring deeds. Let's add the "squirrel with a bazooka" INFJs, who are absolute rocks, and that gives us 26.3 percent. For the resourceful leaders, Slytherin, the original four types are perfect for this house, but as they make only 18 percent, we need at least one more type to up the numbers. That type would be the ISTP (5.4), who are quiet but effective risk-takers and rule-breakers. That would give Slytherin 23.4 percent, a little low, but then, they would think they are rare and can do more with less. Ravenclaw, the intelligent knowledge seekers, would count INTP (3.3) as charter members of that group. ENFPs (8.1) are witty and intelligent, and the ISFP (8.8), are quiet, thorough observers. Here also would be the new and more compatible home for the INFP (4.4). All told, 23.6 percent. This house, with all its perceiving types, wouldn't end up getting a lot done, but think of the fun they'd have on deadline night. Quite a party with the ENFPs livening things up. Hufflepuff, the loyal, patient ones interested in justice, will get by with 3 types: ESFJ (12.3), ISTJ (11.6), and the INTJ (2.1). INTJs are great leaders with a thirst for justice; ESFJs excellent middle-managers who are good with people; ISTJs perfect foot soldiers for the agenda laid out by the INTJ. That makes a total of 26 percent. And that's that. Not exactly symmetrical, but much more compatible AND distributed more evenly. Not that you needed that, but you're welcome anyway. The last two movies I've seen were "The Martian" and "Star Wars" (I don't count "Joy"-- that's not a movie, it's an infomercial for the American Dream), and boy howdy, are they different. Somebody recently said in a conversation that "Star Wars" is science fiction. That's not true. "The Martian" is science fiction. "Star Wars" is sometimes called space opera, but really, it has now, with this seventh iteration in the series, established itself as a genre on its own. There is nothing like "Star Wars" except "Star Wars." "The Martian" solves its problems through fanciful but yet somewhat reasonable ideas, decisions, and actions. "Star Wars" solves its problems through impossibility, and lots and lots of explosions. Press a button, save a life. Press a button, destroy five planets. "The Martian" comes from a self-published novel and is the creation of a man with a gifted imagination who did lots of research. "Star Wars" comes from a good movie idea that has morphed into a mythmaking conglomerate complete with its own tropes, cliches, ethos, nostalgia, and allusions. (Why do fathers and sons always have to meet on catwalks in "Star Wars"? That's just how it's done). "The Martian" depicts space flight as it is-- a long, expensive, difficult, dangerous adventure. "Star Wars" depicts space flight in a way that defies description. It's partly like flying through the air (complete with zoom noises), partly like sailing the sea, partly complete and total fantasy that you make up when you're seven years old and playing space man in the back yard. In the end, that's really what "Star Wars" is: a very expensive story that nevertheless could have been made up by a pair of nine-year olds (BOOM! BANG! Oof! Ugh! Are you okay? He's dead! No I'm not, I'm just knocked out). Which is why I was grateful that when I went to see the movie, there was a little kid in the back who yelled out "Yeah! That's because she's supposed to be a Jedi!" when he had his "aha" moment. I know it's not news to you, but my "aha" moment was that "Star Wars" is really and has always been for kids, not nerdy adults trying to recapture the magic. It makes perfect sense that Disney now owns the franchise. Disney owns American childhood, after all. I was once the perfect age for "Star Wars," back when it started 40 years ago or so. I'm no longer that age. I'm much more interested in "The Martian." That's a story for fusty old grown-ups who want to believe in the inherent goodness of NASA. And "Joy"? Well, that's for people who are nostalgic about the QVC channel. Here's to you if you were young when you saw your first "Star Wars" and now you feel like you're a bit too old for it. Welcome to the one-foot-in-the-grave club. It's not as fun as the Dark Side, but we do have cookies. 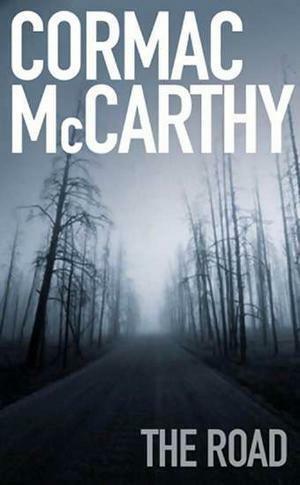 This is a post about Cormac McCarthy's The Road, which I think is an extraordinary novel. It is also a kind of reply to a writer who didn't like The Road and gave it one star on his Goodreads account and then wrote 1,636 words justifying the one star. I'm thinking he missed the point. Now, I'm a bit late to this party, as The Road was published in 2006. But it recently came out on a BookBub ebook promotion, and I bought and read it, so that's my excuse for being late. Next, we must say that I'm not alone in liking The Road. It won the Pulitzer Prize. But that's a guarantee that some folk will not like it and will give it one star on Goodreads. As for me, I am not a big Cormac McCarthy fan. I had never read any of his novels and had only seen the movie version of No Country for Old Men, which was impressive but very bloody and I am much against violence in all forms, whether artificial or real. But I came away from The Road a Cormac McCarthy fan. Neither am I particularly interested in post-apocalyptic stories. I liked A Canticle for Leibowitz, and I thought "Planet of the Apes" with the Statue of Liberty half-buried in sand was stark and horrific-- when I was twelve. But mostly I find the fall of civilizations yuck and I find survival stories even yucker. But the nuclear winter world of The Road blew me away. I also think that when authors bend language, as The Road does brilliantly, they almost always fail, unless they are William Faulkner. It is so difficult to write a coherent story first of all that to try to be original with the language and tell a coherent story is even more colossally difficult. But that's what The Road did, and succeeded. In fact, the language was so natural to the story that I can't imagine it being told except in that way, with that vocabulary, with those turns of phrase. The Road succeeded for me on every level, against all odds. But as I say, this other writer gave the book one star and thought it was terrible. What gives? Now, I can see how the general reader would not like The Road. It is extremely bleak. Somehow the world has suffered a nuclear winter, but we're never told exactly how it happened or why. The two characters in the book, a father and a son, are unnamed, and only the barest background of their previous life is given. There is no plot-- the pair are trying to move "south" for a vague reason (maybe it's warmer there? ), and the whole book is taken up with their relentless search for survival and safety. It is a decidedly un-entertaining type of story. It doesn't follow Joseph Campbell's principles for The Hero's Journey, and there is no feel-good ending or really any conventional payoff to the reader for persevering. Some reviewers talk about the book as a "cautionary tale." Look out, because this is what's going to happen to us if we have a nuclear war. But that would have left me cold. Prophets are rarely profound. What The Road has is an extremely deep, thoroughgoing passion, sensitivity, and love for human life that is deeply spiritual. And I think it is deceptive in its depth, and deliberately written in order to put people off, because I think Cormac McCarthy understands the horrible pas-de-deux of love and hate that human beings carry on with themselves and each other. The Road asks the question, if you had everything, every shred of comfort, normalcy, habit, distraction, and hope, taken from you, would you still have a reason to love? And not feeling love-- the momentary love of lovers-- but diligent love, that which is expressed in action where there are no feelings possible because you are too exhausted. Exactly the kind of love a parent has for his or her child. I don't know that I would've appreciated The Road if I weren't a father. That is the one area of my life where I have experienced moments of supreme exhaustion and frustration and momentary hopelessness and yet continued to do what was right for my children. Now the writer who panned The Road is a highly successful fantasy novelist. His books have sold in the hundreds of thousands. His road to publication was torturous and serendipitous, and I would expect he considers himself highly fortunate. He is also a father. In his bio he speaks of a daughter for whom he wrote his first fantasy novel. But McCarthy's depiction of a father's sacrificial-- and seemingly pointless-- love of his son made no apparent impression on this writer. I don't know why. Perhaps the writer's wife always got up to feed the baby at 3 AM. Perhaps he did not endure years of his life intermittently covered in spit-up and other bodily fluids. Perhaps he never had to be up for twenty-four hours straight with a child whose fever just would not go down, and the smell of Pedialyte does not nauseate him. Perhaps his child never looked at him with an expression of pure hatred because he was just trying to do the right thing as a father. Or maybe the writer had too much of all that and deep down, beyond the surface criticism, he looks at The Road as an unwelcome reiteration of bad memories. Regardless, it is parents, I contend, for whom The Road is going to resonate most deeply. Anyone who has ever had a child with one of those fevers or one of those looks (or many of them) and had that momentary sense of what's-the-point should be able to understand, identify with, live in, and get lost in the mazy, language-bending, sleep-deprived, hallucinatory, monochrome, and yet supremely transcendent story and world that Cormac McCarthy has created in The Road. The book is (among many other things, because I am simplifying by necessity) about feeling that what's-the-point moment and going ahead and doing the right thing anyway, magnified a billion times. I'm thrilled to announce the release of my latest novel, The Mirror and the Mage: A novel of ancient Rome, which is available as a paperback or a Kindle e-book. It's my first YA (a "young YA" for ten- to thirteen-year olds) and the first book that combines my love for the Latin language with my passion for storytelling. On the cusp of adulthood, Lucius longs to follow his brother into the army of King Tarquin the Proud, but his father sends him to the remote shrine of Numa Pompilius to be a priest. Lucius thinks he will spend his life guarding dusty sacred scrolls, but he soon finds out that the scrolls have power-- and powerful enemies. To save the city, Lucius must become a priest and a warrior. If you like Latin language, you may be interested in the game being developed from the book, which is in beta form here. And if you want to be kept abreast of all the news and receive special offers for the book, email teenage underscore heroes atsign yahoo dot com and ask to be put on the mailing list. Or simply click on the "Join Our Mailing List" button at the side of this post. L. Frank Baum wrote a whole slew of beloved Oz books, with a bunch of strange technology (including visions of robots, television, and laptop computers), and in a world full of wonder. Why is it that Disney decided to bypass all that for the sake of a plot that falls so flat and is so full of technological distraction? Well, it's Disney. They have made billions and billions of dollars doing the same thing. And they got my $8.75. What is your hobby, Mr. Bond? Back in the old, old days, I saw three James Bond movies ("Dr. No," "Goldfinger," "Thunderball") back to back to back on one matinee Saturday. I believe it cost my ten-year old self seventy-five cents. We went in, my friends and I, in 11 AM sunshine. When we came out, flushed with catharsis, the sun was on its way down, but it still dazzled us. I had the sense that I had done something truly significant. The day was like one at the Festival of Dionysus, Athens, 5th century BC. At that festival you saw three serious plays per day and one funny one, for three days straight. All the plays on each day came from one mythological story cycle, such as the Trojan War or Heracles. Bond is unmistakably Anglo-American myth, as "Skyfall," the 23rd Bond movie, reminds us at the end. Bond the movie franchise is now fifty years old. And as the movie also reminds us, there will be another Bond movie coming down the line. What is it that hooked my ten-year old self? Was it the ejector seats, the explosions, the obligatory mass fight sequences at the end? Well, no, it wasn't. It was the resurrection. Bond, James Bond, always seemed to find a way singlehandedly to save himself and the free world, such as when he pulled at a random wire in "Goldfinger" and the nuclear bomb detonator stopped at the famous time of 007 seconds. For me back then and anyone else with the faith needed to be taken in by the story, the being saved at the end was the thing. Everything else was cool, impossibly cool. But resurrection was why you went. If Bond didn't win, there was no reason to be there. Nowadays, Bond is complex. The cinematography, the tortured psyche of Bond (Daniel Craig) himself, and the plot, which revolves around the "sins" of MI6, the British spy service, and its less-than-perfect head, M (Dame Judi Dench). There is a death and resurrection at the beginning of the movie, in fact, as Bond is "killed" but can't stay dead for some reason (we are not told how he survived this death). Later, when someone asks him what his business is, he says "resurrection." So "Skyfall" is very meta, very self-aware, very pomo. But it's a different kind of self-awareness. Back in the day, Bond was very self-aware, very arched eyebrow. The resurrection was always in some way both dramatic and comedic. There was a tacit understanding between the grownups and the filmmaker that this isn't quite, quite serious. But it was still thrilling. Now, gone the villain that wants to take over the world. Gone the henchman with the bladed frisbee hat. Gone the cheesy, unbelievable special effects. Gone even the paunchy, un-buff Bond of the later films (such as Roger Moore) whom you could certainly see sipping a martini but not punching out a bad guy. Daniel Craig, "old" as he is, is one ripped customer. This Bond is somehow much more sincere, much more serious. It's no longer just fun. And I think the actors are grateful for that, the director is grateful for that, the cinematographer is grateful for that. They do a good job creating a Bond film that makes sense even though it is still pretty cheesy and unbelievable in its own way. And the resurrection at the end, well, it's good, too. Very pomo. But very serious nonetheless. What a delicate dance to have to perform. And they do it. Making art, making mythology is so difficult to do well. This is good art, and good myth. Bravo, Bond. Got an email from a team of two authors who want to start a Magic Tree House-type series of books for 4-8 year olds, with world mythology as the main content delivered. You know Magic Tree House-- 2 spunky kids find a magic tree house, are transported back in time to various literary and historical locales, where they participate in famous narratives and events. One of the Greek-oriented titles is "Hour of the Olympics". Authors Rudi Liden and Rachel Hill would like to capitalize on the big success of MTH with a series of their own, and two spunky kids of their own, Penny and Bobby, but in order to do so, they need start-up funds. That's why they have a kickstarter.com page. They don't have much time left to make their goal, so I agreed to spread the word a bit. They have a nice video with engaging art, and their first book is about the Midas touch. Midas was a king of Phrygia, now part of the nation of Turkey, who famously was granted a favor of the god Dionysus after saving one of the god's followers. He wanted everything he touched to turn to gold. This story is not strictly Greek mythology, but a kind of ancient fan fiction, where authors in late antiquity took an original figure from Greek history and endowed him with a story. Liden and Hill would like to use this opportunity to tell young readers about the pitfalls of desire. I personally would like to see how this comes out, though I've told the authors I think it's very tricky to do foreign cultures well for 4-8 year olds. Most of the time you end up just reinforcing American values and the foreign is lost. Yeah, but it's a lot more edifying than Ben 10, Liden counters. Click over and see what you think. Just the other week my Greeklings and I were working on the Homeric Hymn to Hermes, a delightful tale about the messenger god of Greek mythology and his "origin story," when he was a baby god and stole the cattle of Apollo. What??? said my Greeklings. A baby god stole cattle? Yes, I said. Anything can happen in a story. Who would believe in such crazy stuff? They persisted. Hermes (not as a baby?) steals Apollo's cattle: image from here. Well, I have to allow that the baby god stealing cattle detail does strain credulity. It lacks "verisimilitude," or a sense of something happening that could happen in real life. But, as I was reminded last weekend, American stories go to the same extremes. "The Avengers" is one of those big blockbusters that cost a huge amount of money to make. In movies such as these, where the story and the characterizations are only intermittently interesting, my eye wanders to the set direction and the CGI. Everything looks so real, even if it is an illusion. There is one part in particular that looks very real, but clearly is a total impossibility physics-wise. (And for the record, I am not a physicist, but I think I am on solid ground here. If I'm not, let me know.) This is the flying aircraft carrier, or "helicarrier." Yes, the 100,000 ton full-sized sea-going vessel with airplanes on its flight deck converts into an aircraft by means of four enormous whirligig things ("ducted rotors") that splay out on its four corners. The whirligigs act as lifters, and once the craft is in flight they keep it in the sky. Now, you might think that the makers of the movie would leave it at that. Once the aircraft carrier is up in the sky, never mention the whirligig things again, because they are so unbelievable. But no, at one point, one of the whirligig things is put out of commission by the villain, and the heroes have to get it started again. I will not discuss how that happens. Suffice to say it is totally unbelievable as well. Now at this point you might have lost the thread. You might be saying, "It's a comic book story. Of course unbelievable things happen." I know that. My question is, why would any American think Greek Mythology is absurd when millions of us part with good money to see something in our stories that is just as impossible? Human beings are born with the capacity for wonder and for impossibility. We should celebrate that-- celebrate the fact that, no matter what the culture, every story is in its way impossible at some level, and that's a good thing.